A scholar in the humanities, a practitioner of willow installation and floral design, a weaver of rushes, a community service provider, a performer, a certified Art therapist, and Horticultural therapist. A graduate of the New York Botanical Gardens and a clinician, with training and experience accumulated at two NYC hospitals, it was under the premier supervision of AHTA registered Horticultural Therapists originating from the Rusk Institute Glass Garden team, that I was invited and challenged to develop my own “therapeutic self”. Enter Terence Cardinal Cook Care Center where I worked with narcotics offenders in rehabilitation; developmentally disabled children; early stage Alzheimer’s seniors; or patients suffering from degenerative diseases such as Huntington’s and AIDS related dementia. I learned about adaptation in the face of degenerative pathologies. At NYU Langone Medical Center, as part of a larger horticultural therapy team, I offered services to autistic school children, patients in rehabilitation for brain trauma and stroke, epilepsy, cardiology, outpatient oncology, acute pediatrics and orthopedics. I have also provided psychosocial support on the psychiatric unit. Flexibility, improvisation, but also the fine tuning behind compensatory strategy meddling, and mirroring alternative selves were essential learnings. I am comfortable working with children with cerebral palsy or adults with aphasia. But I am equally experienced in group work with independent seniors or mainstream school children. When the opportunity presented itself, I facilitated groups with independent disabled women and helped create a summer camp curriculum in constraint induced movement therapy (CIMT) for hemiplegic children. For two weeks in the summer months, I continue to join the Horticultural Therapy team at NYU Rusk for the High-five camp. I received my advanced social sciences degree, a pre-doctoral thesis (DEA, the equivalent of ABD) from the University of Paris Sorbonne where I studied Historical Anthropology, Theory of Gardens and Landscapes in France. My research thesis focused on the political discourse of the moral hygiene of citizens in late 19th century France and the rise of child specific spaces in urban public gardens and parks for improved child welfare. A research Masters in Anthropology of Material Culture, also from the University of Paris informs some of my concerns with art, craft, tool, ritual, symbol, space, creative communication and storytelling. My interest in ethnobotany was also piqued at this time as I investigated the cultural aspects of people-plant connections exploring for example the bamboo crafts. While in London, I studied constructed fibre arts (weaving and basketry design) and received my degree in display and floral arts from the University of the Arts/LCC. 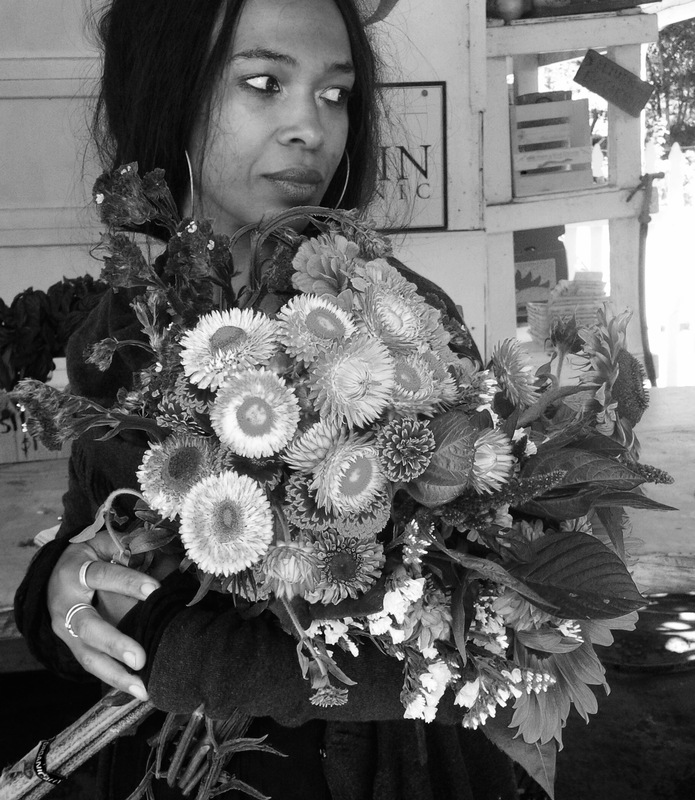 Subsequent professional creative practice in botanical installation served me when I later budded as an Horticultural Therapist, training at the New York Botanical Gardens and completing a supervised clinical residency at NYU Langone Rusk Institute for Rehabilitation. Today, I am committed to revisiting clinical protocol in such a way that allows me to provide my services to a population affected by what I perceive as a particular gap in their lives. Training in Art Therapy approches has enriched my pratice. I am certified with the DU Diplôme Universitaire of Faculte de Médecine Paris Descartes/Hopitale Ste Anne in Thérapies à Médiations Artistiques. My concomitant clinical pratice in Paris has been acquired at the private hospital at Antony in the dialyses unit where I was able to introduce an innovative pilot programme. Hospital Prive d’Antony. I have also the ongoing opportunity to continue as a résident intern at the Hopital Psychiatrique at Sainte Anne in the Art thérapies department offering support in the clayworks workshop for outpatient users. The patients are all stabilised sufferers of bi-polar disorder, depression, schizophrenia, addiction, epilepsy related trauma. I currently provide community service in the clayworkshop of a small local NGO dedicated to an “antipsychiatrique” approach to therapeutic support. Patients are participants in group therapy and their singular atypical strengths are considered to be enriching rather than simply pathological mental health issues. Today in private practice my primary concern is how sensory impoverishment may be affecting urban dwellers. The younger ones because we know that fostering a sophisticated use of hands engages different parts of the brain, effecting development. The older ones because a sensory enrichment diet that aids in bolstering sensory awareness may be a tailored response to improved self knowledge and self care. Sensory awareness, a port of entry into self awareness, is a step on the road to self care. Contemporary fast paced urban societies are often taxed as being stressful, anxiety ridden, mentally fatiguing for my contemporaries, with effects of burn out, bore out, distraction, irritability, reactivity. Inviting you to explore the beautiful, strange, bizarre tactile world of botany and horticulture allows me to suggest ways for communing with Nature which helps you discover your personal ressources for creative self growth. Non incidentally, opportunities for Nature connectedness is shown to bolster a sense of ecological stewardship. I am also particularly keen on helping savvy but not-so-free-range X-Box and Playstation wielding city kids, of differing abilities increase their sensory palette. My relationship with holistic mind-body practices informs my exercise of therapeutic horticulture. I trained formally in Jon Kabat-Zinn’s MBSR mindfulness based stress reduction with NYC based teachers of mindful meditation, continue practice in Charlotte Selver’s Sensory Awareness approaches, return regularly to Les Fehmi’s Open Focus and draw inspiration from Pauline Oliveros’ Deep Listening Sonic Meditations. I have used these techniques for personal well-being and they are now resources for my own approach in Nature, the Arts within workshops. A founding member and active on the board of the French Federation Jardins Nature et Sante (FFJNS), I am also a member of several other professional organizations: the American Horticultural Therapy Association (AHTA), the American Association of Art Therapy (AAAT) and the French Federation of Art Therapists (FFAT). I also adhere to AMAVIE, professional group representing complementary and natural health practitioners. Professional supervision is provided by Dominique Sens, PhD, artist, art therapist and registered clinical psychologist. More information on my ethical position can be found here. Currently based in Paris, I hail from Amsterdam, city of reposing skyscapes and waterscapes. I weave willow, rush and sisal, create floral babioles and miniature graffiti, observe and display traces of the seasons passing. I am an avid collector of botanical treasures, dabble in indoor tropical and container gardening, and after washing my hands, improvise on cello, write and translate poetry and sing. However, as I am particularly fond of mosses and lichens, you will often catch me caressing the moss covered bark of trees around Paris. Tamara Liot Backer Walcott, M.A.